There are a tiny handful of builders who consistently hit the mark with every bike they create. 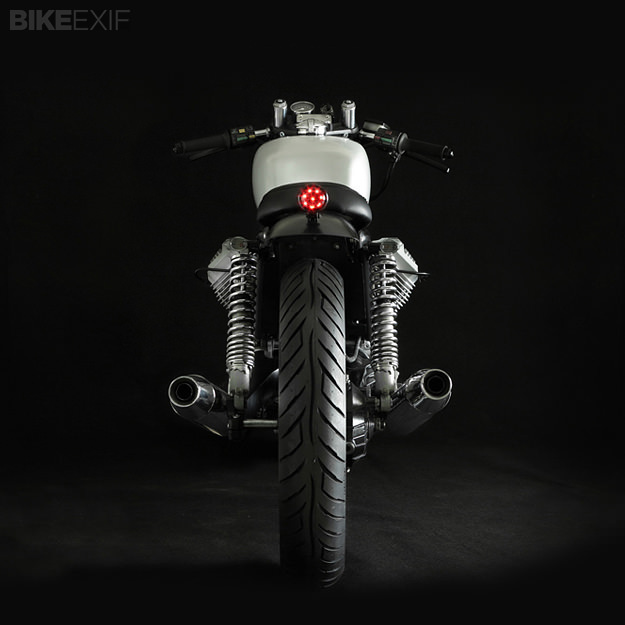 In Italy, one of those builders is Venier Customs, which took home a trophy last month from the Biker Fest for this beautiful Moto Guzzi V75. 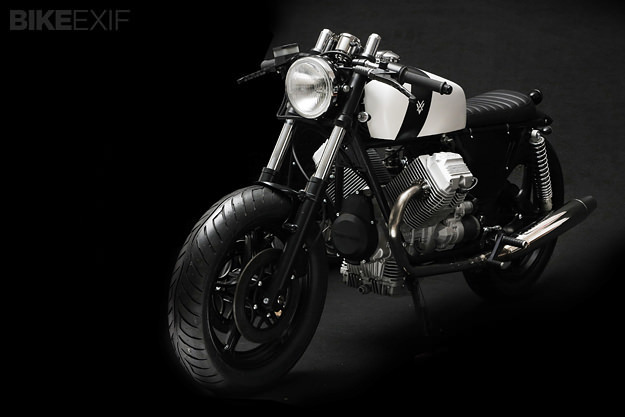 The bike is called ‘Corsaiola,’ which loosely translates to mean ‘speedy’. 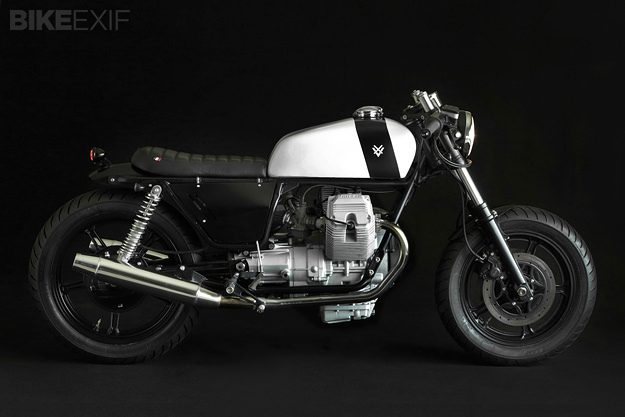 It’s based on a small block 1989 V75, which was the forerunner of the Guzzi’s current V7 range. Ironically, the V75 has more power than the current bike—58 as opposed to 48 hp. That’s emissions regulations for you. Stefano Venier is a thoroughly modern craftsman, working out the initial design in Photoshop and then using CAD to machine the parts he needs. 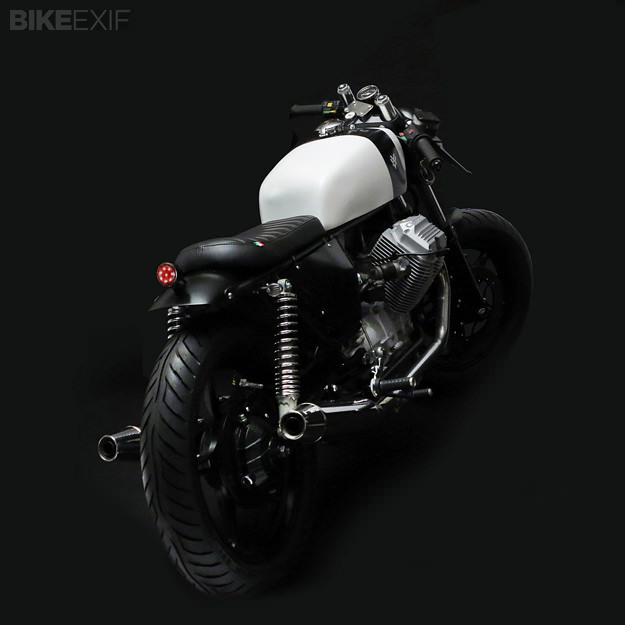 For this bike, the frame was reworked at the back and a new tank and seat unit installed. (The original V75 was somewhat blighted by the 1980s fetish for plastic, with an especially ungainly tank.) Other custom parts include the rear fender and side panels, and custom brackets were fabricated to attach everything neatly to the frame. The finishing touch is a simple but effective black-and-white paint job. It’s a great example of the old becoming new again—Venier’s V75 wouldn’t look out of place in a showroom next to Moto Guzzi’s current range of V7s. 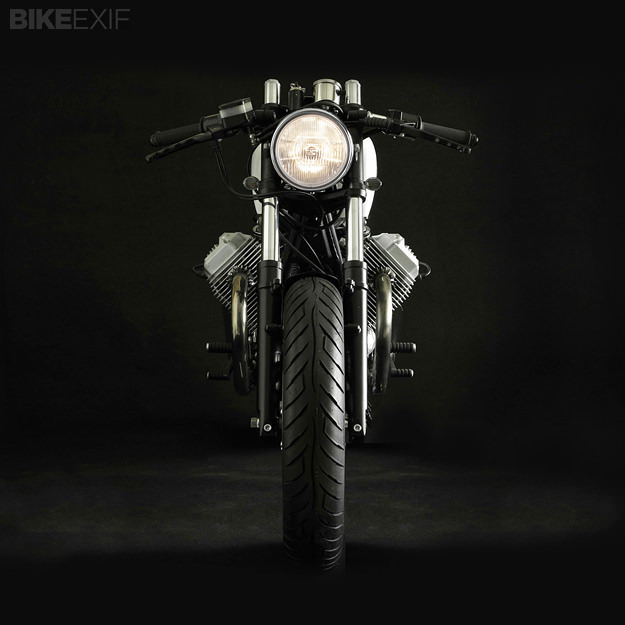 Head over to the very stylish Venier Customs website to see more of Stefano’s work, and follow Venier’s news via the company Facebook page.